The designer ventilation hood is a high quality, modern external vent designed to prevent ingress of water into ventilation equipment from the outside. This vent has a 106mm round hole designed to be used in conjunction with 100mm rigid piping or ducting. 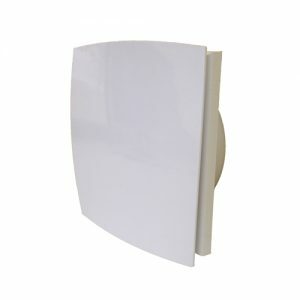 The vent has no flange, making it a great solution for installations that may have limited wall cavity space. The designer ventilation hood is a high quality, modern external vent designed to prevent ingress of water into ventilation equipment from the outside. 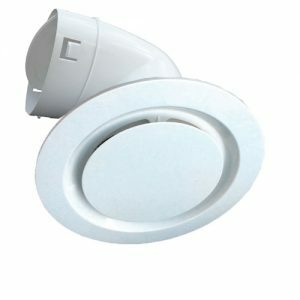 This vent has a 132mm round hole designed to be used in conjunction with 125mm rigid piping or ducting. The vent has no flange, making it a great solution for installations that may have limited wall cavity space. The designer ventilation hood is a high quality, modern external vent designed to prevent ingress of water into ventilation equipment from the outside. 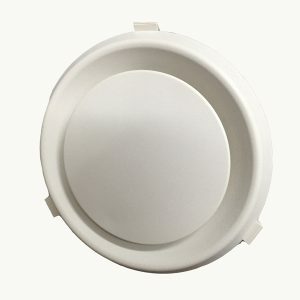 This vent has a 160mm round hole designed to be used in conjunction with 150mm rigid piping or ducting. 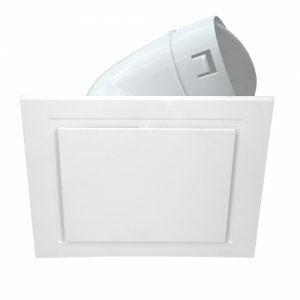 The vent has no flange, making it a great solution for installations that may have limited wall cavity space. A vent/grille for use with exhaust fans. It is normally placed on the outside wall or under the eaves. The neck is a fixed 150mm diameter. It is a white colour and has been treated to be safely placed outside, it also comes with a built-in flyscreen. 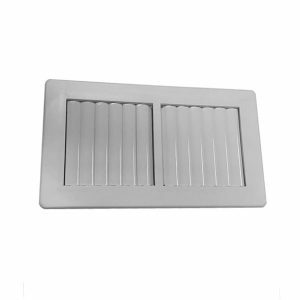 Edmonds General Purpose vent is ideal for a variety of vehicles and stationary locations. This includes vans, trucks, trailers, caravans, boats, small garden sheds, portable buildings and so on. It is entirely wind driven and helps to alleviate the discomfort of stuffy environments by improving the quality of the air and removing heat and odours from the vehicle. Made from impact resistant polymer and incorporating high carbon chromium steel ball bearings makes it durable. It is also weatherproof and simple to install. For dimensions and to view an installation diagram please see the dimensions tab below. 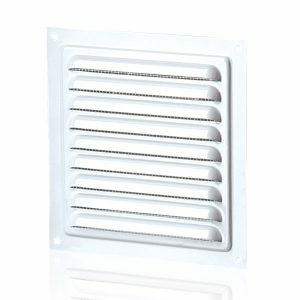 Metal vent 250mm x 250mm with no connecting flange at the back. The vent also includes a protective insect screen. Made of Steel. A plastic multi directional 2 way vent commonly used in conjunction with air conditioning systems. 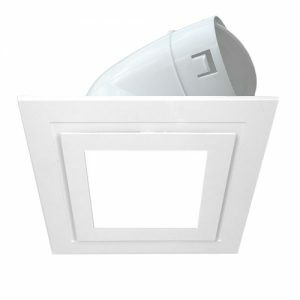 The vent has two small removable parts with shutters that can be opened and closed to a desired degree as well as positioned in any direction that you require. 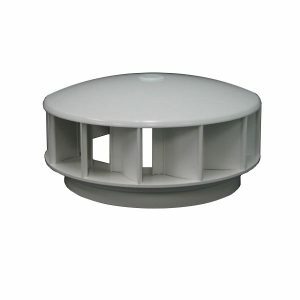 This vent also comes with a connecting rear boot that will allow the vent to join up to 150mm diameter ducting. This boot simply clips into the frame of the vent. A plastic multi directional 4 way vent commonly used in conjunction with air conditioning systems. The vent has four small parts with shutters that can be opened and closed to a desired degree. This vent also comes with a connecting rear boot that will allow the vent to join up to 400mm diameter ducting. The rear boot will connect to 400mm flexible ducting. The boot is a rounded square shape, so solid round piping will not connect directly. This boot simply clips into the frame of the vent. A plastic multi directional 4 way vent commonly used in conjunction with air conditioning systems. The vent has four small removable parts with shutters that can be opened and closed to a desired degree as well as positioned in any direction that you require. This vent also comes with a connecting rear boot that will allow the vent to join up to 250mm diameter ducting. This boot simply clips into the frame of the vent. A plastic multi directional 2 way vent commonly used in conjunction with air conditioning systems. 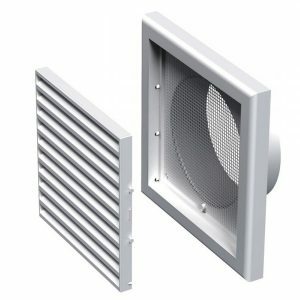 The vent has two small removable parts with shutters that can be opened and closed to a desired degree as well as positioned in any direction that you require. This vent also comes with a connecting rear boot that will allow the vent to join up to 250mm diameter ducting. This boot simply clips into the frame of the vent. A plastic multi directional 2 way vent commonly used in conjunction with air conditioning systems. 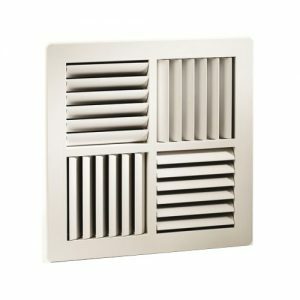 The vent has two small removable parts with shutters that can be opened and closed to a desired degree as well as positioned in any direction that you require. This vent also comes with a connecting rear boot that will allow the vent to join up to 200mm diameter ducting. This boot simply clips into the frame of the vent. A plastic multi directional 4 way vent commonly used in conjunction with air conditioning systems. The vent has four small removable parts with shutters that can be opened and closed to a desired degree as well as positioned in any direction that you require. This vent also comes with a connecting rear boot that will allow the vent to join up to 150mm diameter ducting. This boot simply clips into the frame of the vent. A plastic multi directional 4 way vent commonly used in conjunction with air conditioning systems. The vent has four small removable parts with shutters that can be opened and closed to a desired degree as well as positioned in any direction that you require. This vent also comes with a connecting rear boot that will allow the vent to join up to 200mm diameter ducting. This boot simply clips into the frame of the vent. An inside vent/grille for use with exhaust fans. Typically this vent would be installed on the ceiling and has an adjustable airflow meaning you can rotate the center of the unit to open or restrict airflow. This listing is for a vent only – this product does not have a motor. A modern internal vent deigned to look like the popular 'Chico' exhaust fan by Fanco. 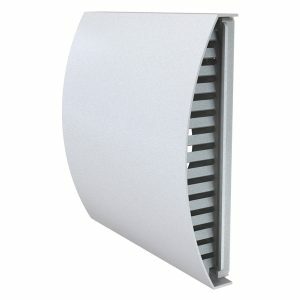 The vent is a great solution if you are looking for a modern intake vent to be used in conjunction with inline fans. The modern, minimalistic look means that the vent is a very popular choice. This vent will connect to 100mm ducting. A modern internal vent deigned to look like the popular 'Chico' exhaust fan by Fanco. The vent is a great solution if you are looking for a modern intake vent to be used in conjunction with inline fans. The modern, minimalistic look means that the vent is a very popular choice. This vent will connect to 125mm ducting. A modern internal vent designed to look like the popular ‘Chico’ exhaust fan by Fanco. The vent is a great solution if you are looking for a modern intake vent to be used in conjunction with inline fans. The modern, minimalistic look means that the vent is a very popular choice. This vent will connect to 150mm ducting.